Police said an investigation had been launched into the tragedy but that no foul play was suspected. 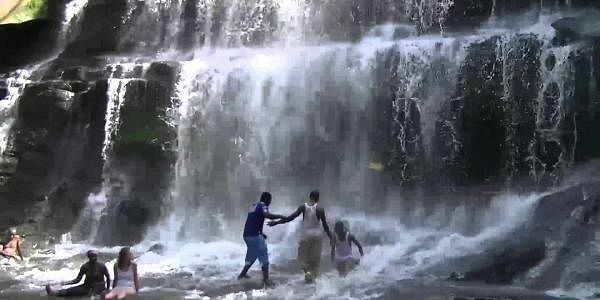 ACCRA: Ghanaian authorities have closed the popular tourist destination of Kintampo Falls after 20 people died in a tree fall tragedy, officials said Monday. A group of high school and university students were swimming on Sunday afternoon at the picturesque waterfalls in the Brong-Ahafo region, some 450 kilometres (281 miles) by road from the capital Accra, when a massive tree crashed into the water, crushing some to death and injuries scores of others. "The National Disaster Management Organisation and the Ministry of Tourism, Arts and Culture have in consultation with the Brong Ahafo Regional Security Council ordered the indefinite closure of the Kintampo waterfalls," tourism minister spokesman Frank Siaw-Otu said in a statement. The ministry called on the tourism authority to "embark on a comprehensive safety audit of all major tourist attractions in the country." Accidents ranging from deaths caused by mass flooding to petrol tanker explosions and huge traffic crashes happen sporadically in Ghana because of lax regulations and disregard for rules.